Jeremie taught Advanced Placement Human Geography, Sociology, Government, and U.S. History at Danville High School from 2011-2014. While at Danville High School, he sponsored the school’s International Club and led student study tours of Taiwan, Greece, Italy, Costa Rica, Spain, and France. His work at the Center for Global Studies has included coordinating Foreign Language and Area Studies Fellowships, conducting teacher workshops on global studies, and organizing multicultural and globally themed academic programs for students of all ages. Jeremie is interested in issues concerning social justice, international education, globalization, and service learning. He has led several groups of pre-service teachers to school visits on the Navajo reservation in northeast Arizona and is currently planning a pre-service teacher study abroad program to Sweden and Finland. As a former classroom teacher, Jeremie is interested in working with teachers to support the instruction of globalization, multiculturalism, and global issues, including human rights and environmental sustainability. A Choices Program Teaching Fellow, he is experienced in facilitating classroom simulations and discussions on international social and political policies. 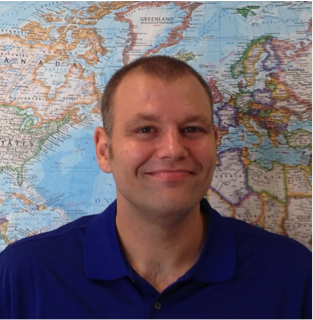 Jeremie enjoys talking to students about his experiences living in several different countries (Japan, Turkey, and Costa Rica) and can provide student with an introduction to globalization, human geography, and cultural anthropology. Jeremie is also fond of helping teachers arrange internationally-themed field trips to the University of Illinois campus and several other locations throughout the region.